Capturing and broadcasting gaming footage has already become big business, and interest in associated cards has risen accordingly. Publishing your PC gaming spills and thrills has been made straightforward by Nvidia and AMD as their latest GPUs support software technologies that enable fuss-free recording and capturing. Take Nvidia's GeForce Experience as an example. On a GeForce GTX 1080 the software offers recording at 4K (2160p, 60fps) with quality levels up to 130Mbps, while live broadcasting to platforms such as Facebook, Twitch and YouTube are offered at HD (720p, 30fps). There's an inevitable performance penalty for gaming and capturing/streaming, of course, though frame rate rarely takes a hit of over 10 per cent. The combination of high-performance silicon and mature software has rendered traditional capture cards somewhat moot on a PC. The situation is different for the consoles. With the Xbox One X and PlayStation 4 Pro consoles able to deliver 4K60 video for less than the outlay of a premium PC graphics card, the console video-capturing market is booming, particularly for those enthusiasts who wish to share their content, unfettered, with the world. This is where cutting-edge capture cards come into their own. Leading this charge is Taiwanese manufacturer AVerMedia, whose recent capture and streaming cards have taken the 4K60 specification and run with it. 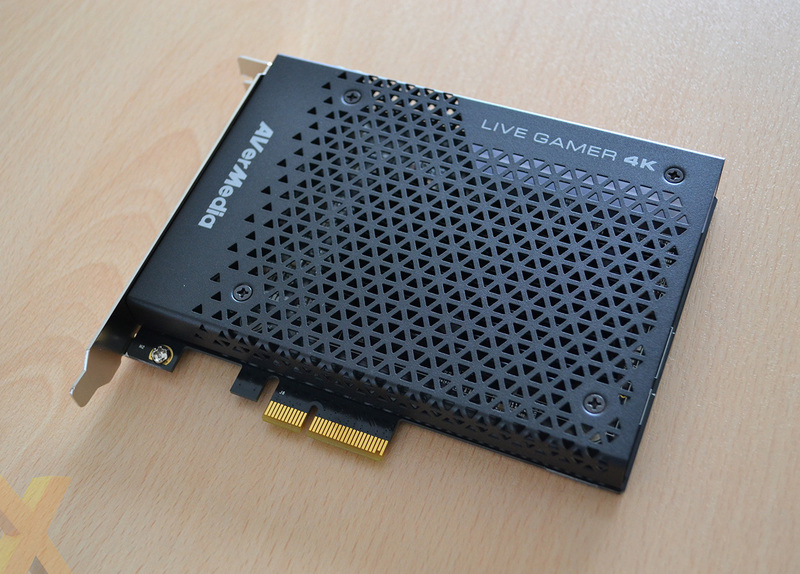 Chief amongst the shiny technology is the £300 Live Gamer 4K PCIe add-in card (GC573). Marketed with the strapline 'capture like never before', it is the first add-in card to offer 4K60 HDR recording and pass-through. 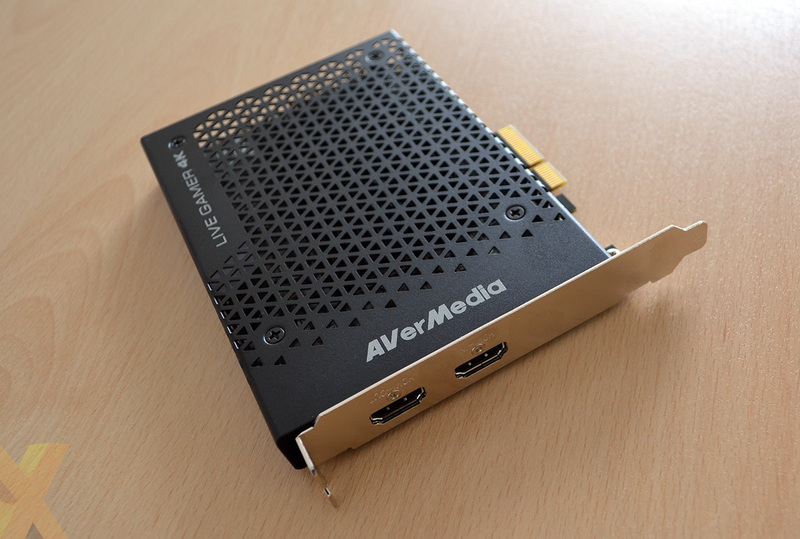 If you are familiar with top-end capture cards, AVerMedia's finest is an unabashed, direct response to rival Elgato's 4K60 Pro, and it's cheaper (£300 vs. £360) and offers, on paper at least, the pinnacle of capturing and streaming quality via HDR. Let's first take a tour of the card and then see if it can live up to its lofty claims as the best consumer capture card on the market. The card itself is simple and elegant. It requires a vacant PCIe slot (x4/x8/16) and carries a PCIe Gen 2 x4 interface, which is plenty fast enough for 4K60 transfers. Good care and attention has been paid to cooling, with the processing chip cooled by a a large passive heatsink that is in turn connected to the perforated enclosure. Cooling is both smart and functional. Though entirely superfluous to the performance, the top-right section, behind the Live Gamer 4K name, is home to an RGB lightbar that can be set to one of three modes or, if you prefer, off. Round back, there are input and output HDMI 2.0 ports. 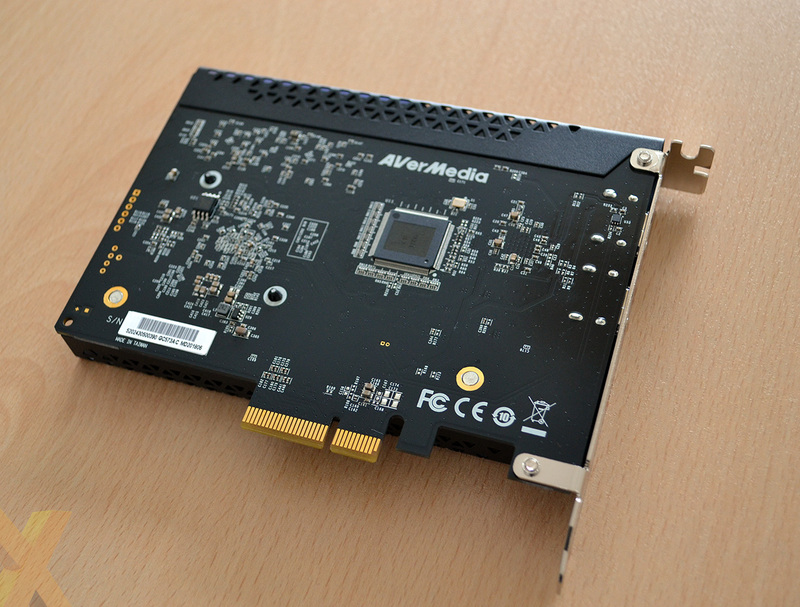 As mentioned above, the card is able to take in 4K60 HDR streams, process them with, according to AVerMedia, with practically no lag, and then output the same quality to the screen. And this end-to-end 4K HDR is the Live Gamer 4K's main draw. We'll talk more about the nuts and bolts of resolutions, pass-through, software, and HDR compliance later on. The back, meanwhile, is perfunctory. Installing the card takes but a minute, and you're completely up and running, including software, in under five minutes. The bundle is also fairly sparse and includes a short-ish HDMI 2.0 cable, quickstart guide, and CyberLink PowerDirector 15 product key card.